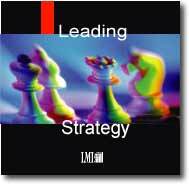 LMI – Leadership Management International – stands for more than four decades as one of the world’s best development programs for executives, managers and organizations. Because LMI’s programs lead to measurable and enduring success, everyone can easily, successfully be. develops management of people and leaders. Visible improvements will be immediate and breathtaking, providing instant results with long-term benefits. does not train people, but develops them, and there’s a massive difference. doesn’t do seminars. Information received through traditional training methods is quickly forgotten. We don’t underestimate people no matter what their job description is. 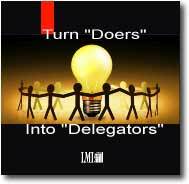 All employees are Leaders and Total Leaders® are needed for a Total Performance Organization®. Capable business-people can lead themselves and those around them. They are self motivated, have clear goals which they share with their co-workers. They have good knowledge of human nature, are assertive as well as goal-driven, and they can motivate their enviroment. These qualities are needed at all hierarchical levels in order to master the challenges of the modern business world. LMI offers non-disruptive courses which take place alongside normal everyday business. The communication triangle between participant, employer and coach guarantees constant feedback and efficient monitoring of progress made. The definition is at the basis of LMI’s TOTAL LEADER CONCEPT® with its clear focus on SMART (Specific, Measurable, Achievable, Realistic, Tangible) goals. YOUTH LEADER CONCEPT® – The early bird catches the worm. Why limit access to what LMI has to offer to those already at work? We can extend our expertise to other target groups who can benefit from our vast experience in developing people to their full potential. Young people standing at the line dividing school, college or university from working life need expert guidance if they are to be successful later on in life. How do I become a good all-rounder? What moves me? How can I get to where I want to be? And anyway, where do I really want to be? Whilst still having time for “the good things in life”? The YOUTH LEADER CONCEPT® is intended to provide 15-25 year olds with the answers to these, and many more, questions and to develop the strengths needed to meet the challenges ahead. 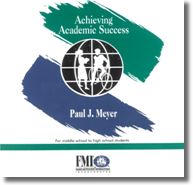 Achieving Academic Success® (AAS) – Building a framework for lifelong learning based on a desire and ability to succeed is the ultimate benefit of Achieving Academic Success. This comprehensive yet compact program helps implement the process of becoming a successful lifelong learner. It is designed to help students in middle school, high school, and college to develop more of their potential for scholastic success. 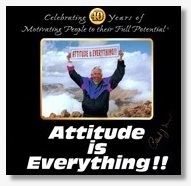 Attitude Is Everything® (AIE) – The problem with so many people today is that they have either been programmed with or have developed a negative mental attitude. In fact, what you have become and where you are in your present life can all be traced back to a first cause: the choices you made as a result of your dominating thoughts and attitude. Attitude is a habit of thought. Who you are is a function of specific choices that you have made. Who you are is not determined by how you look, where you live, or who your parents were. You are where you are and what you are because of the dominating thoughts that occupy your mind. It might help to think of your mind as the software in a computer. If your software or mind is full of doubt, fear, and “can’t do,” then no matter how hard you try, you’re only going to produce a product or a life that replicates those negative beliefs. It’s up to you to take the steps to change your thoughts, your attitude. You don’t have to be controlled by the words that may have been spoken over you as a child, or by the words you continue to speak over yourself. What you think about becomes the words you speak, and the words you speak become the actions you take, and the actions you take determine your life! You have the power to change, to be, and to do anything … so use this program to do that! 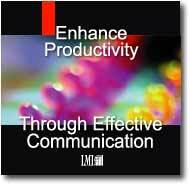 Effective Communication® (EC) – Miscommunications cost business and industry millions each year. 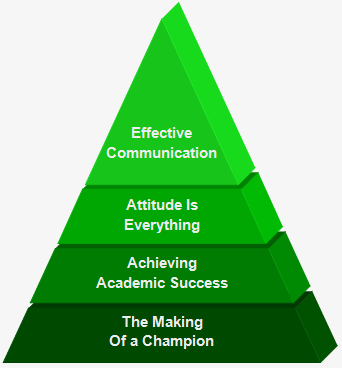 Becoming an effective communicator can be learned. It takes understanding of human behavior and communication styles. Effective communication is a dynamic process that offers long-term dividends for the life of your company. Leadership Success. There is no better time to focus on women and the remarkable strides they have made in the last century and continue to make. The 21st century does indeed belong to women! Women will make more progress using their full potential inthe next 50 years than they have in the last 500. Women can be very good leaders if they develop specific new attitudes and behavior as has already been proven by successful women. 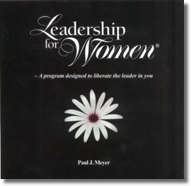 Based on this a special program has been developed to assist women to become the best leader they can be. • Realize their potential for personal leadership through building on strengths and improving self-image. • Make choices for success by overcoming past conditioning. 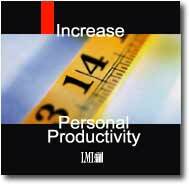 • Increase self-motivation by altering attitudes, behaviors, and habits. • Develop a written and specific Plan of Action for success. 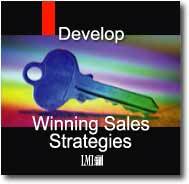 Effective Selling Strategies® (ESS) – Successful salespeople are self-motivated, focused, and have crystallized goals. They enjoy interacting with people and understand the importance of the desire to be of service. In addition, they know the “basics” of professional selling. 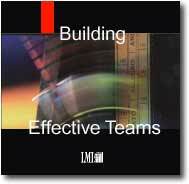 Effective Team Dynamics® (ETD) – When a team works effectively and efficiently, everyone wins. A successful team is truly an example of synergy at work – that is, accomplishing more as a team then individuals could by working alone. Windows-based software is available to score and print a comprehensive report. The report provides important information on 6 mental aptitudes and 10 personality dimensions, along with 2 validity scales. Information can be saved and retrieved for further evaluations and reports. The Development Needs Inventory™ is a 360-degree instrument that is administered over the internet and designed to allow managers, supervisors and others in leadership positions to better understand their strengths and development needs. The information provided by the DNi™ will help facilitate the individual(s) growth and progress and as a result increase their effectiveness in the organization. The ONI® Survey is a benchmark for continuous improvement that helps an organization’s leaders plan for the future with a clearer sense of direction and purpose. 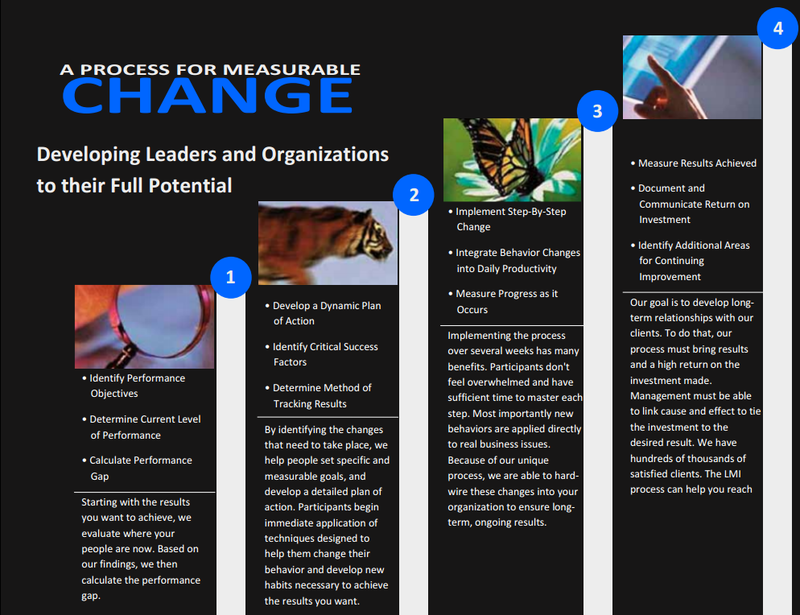 This tool can also help business owners and executives adapt appropriately to desired changes and to measure changes that occur over time. 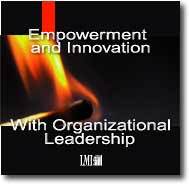 The information produced by the ONI® provides leaders with a basis for better understanding their organization and implementing positive change. 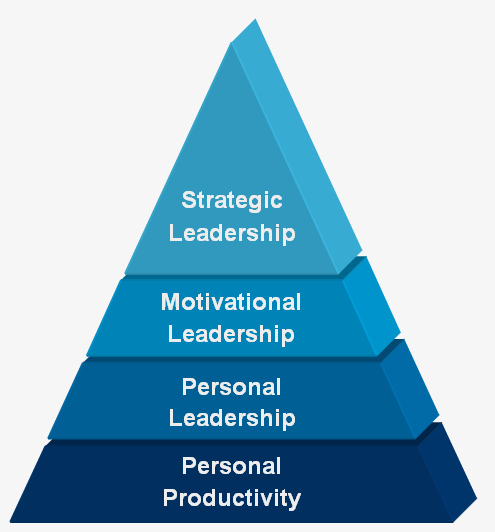 LMI’s Effective Personal Leadership Program helps people realize their potential for personal leadership through building on strengths, improving self-image, self-motivation and by altering attitudes, behaviors and habits. 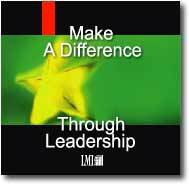 Contact us today to reserve a spot in the next LMI Leadership Forum. The LMI Executive Showcase provides a risk-free opportunity to experience and confirm the benefits and the guaranteed results of the LMI Process! Contact us today to reserve a spot in the next LMI Executive Showcase! LMI’s Making Of a Champion program is tailor made for students and young entrepreneurs who are willing to be challenged and reach their full potential and achieve their dreams. 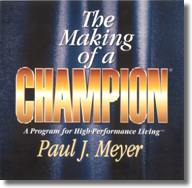 Contact us today to reserve a spot in the next LMI Making Of a Champion session. Reach Real Change is an affiliate of Leadership Management International (LMI) and Family Management International (FMI), a 44- year old international leader in the strategic development industry dedicated to developing training programs. Reach‘s association with LMI gives us the ability to utilize the latest, most effective tools to help you tackle your company’s diversity and challenges. LMI’s materials are promoted in more than 63 countries and available in over 24 languages. 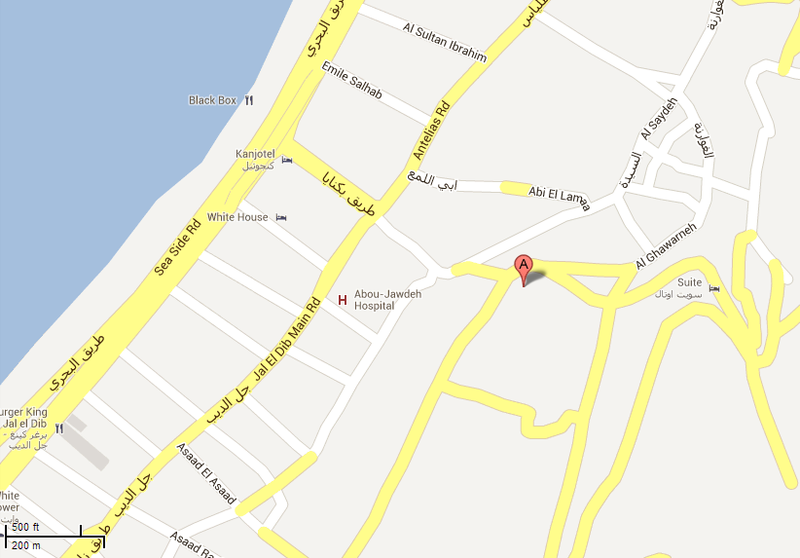 In Lebanon, we have satisfied customers from different businesses. 70 percent of our customers have experienced enough satisfactory and tangible results that led them to purchase our in-house services again. Byblos Bank is one of the leading banks in Lebanon, providing a full range of banking services through one of the country’s largest branch networks. Through its overseas subsidiaries, the Bank also conducts a wide range of Commercial Banking and other financial activities in Europe and the MENA region. Byblos Bank‘s power and versatility are derived from adhering to the values associated with traditional banking – a conservative approach to risk, total commitment to the many overlapping interests of our customers, investors, and employees, attention to detail bordering on obsession, and boundless faith in hard work. Our adherence to these values reflects a determination to remain focused on what we know best: Consumer Banking, Commercial Banking and Capital Markets. Our values encourage us to constantly update our products and services in order to meet the diverse and evolving needs of our clients. Leap is an HR and Management consulting firm founded by 2 Harvard graduates with a vision to develop others towards excellence. Career Counseling & Coaching Ltd (CCC), a consulting practice focused on supporting individuals and organizations alike in achieving their full potential. CCC offers corporate coaching programs, training clinics, and individual coaching for managers to become better leaders. Today, LMI operates in more than 63 countries with materials translated to more than 24 languages. We are represented by professional, certified Licensed owners. There are many entrepreneurial business opportunities and thousands of franchises today from which to choose. LMI is truly a career of choice; special people have made the LMI franchise their business for 35 years. To join the team which “develops leaders and organizations to their full potential,” send an e-mail for more details.